You have travelled far to find yourself here in this spot along the sea. You awoke early and made the journey, hoping to catch sight of one of nature's most beautiful creatures. You wait as the sun rises in the distance, showing up like a hot white spot against the brilliantly blue sky. Patiently, you keep your eyes fixed upon the horizon, and then suddenly it happens. 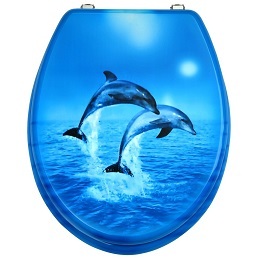 From the deep blue, two magnificent dolphins rise up, leaping with grace over the water side by side. They dive down and disappear from sight, but the memory of that moment lingers on in your mind forever. 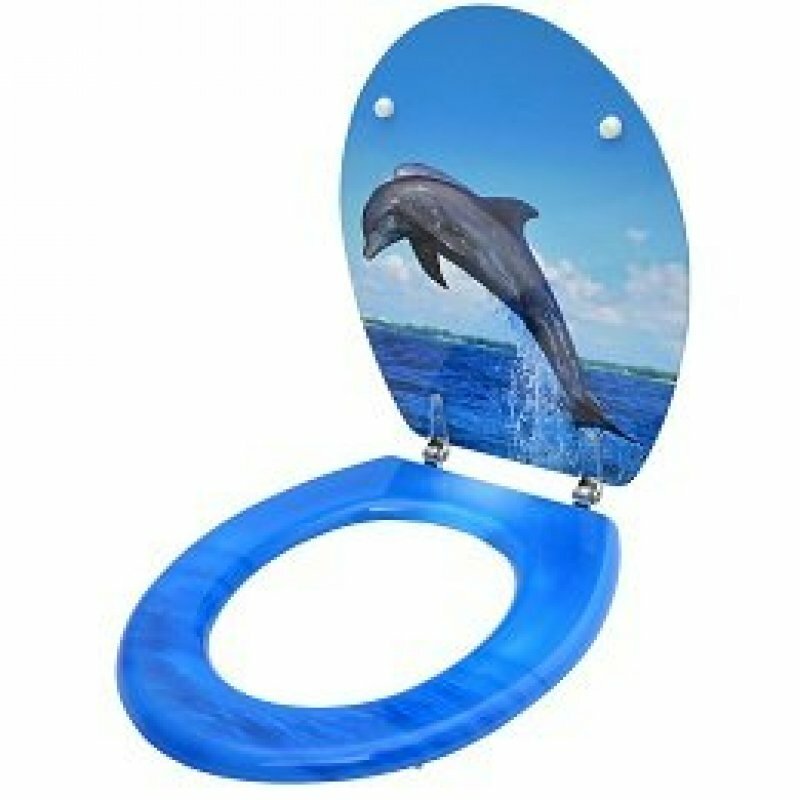 This printed toilet seat captures that moment when two dolphins begin their ascent back into the sea and will make a stunning addition to the decor of your bathroom. 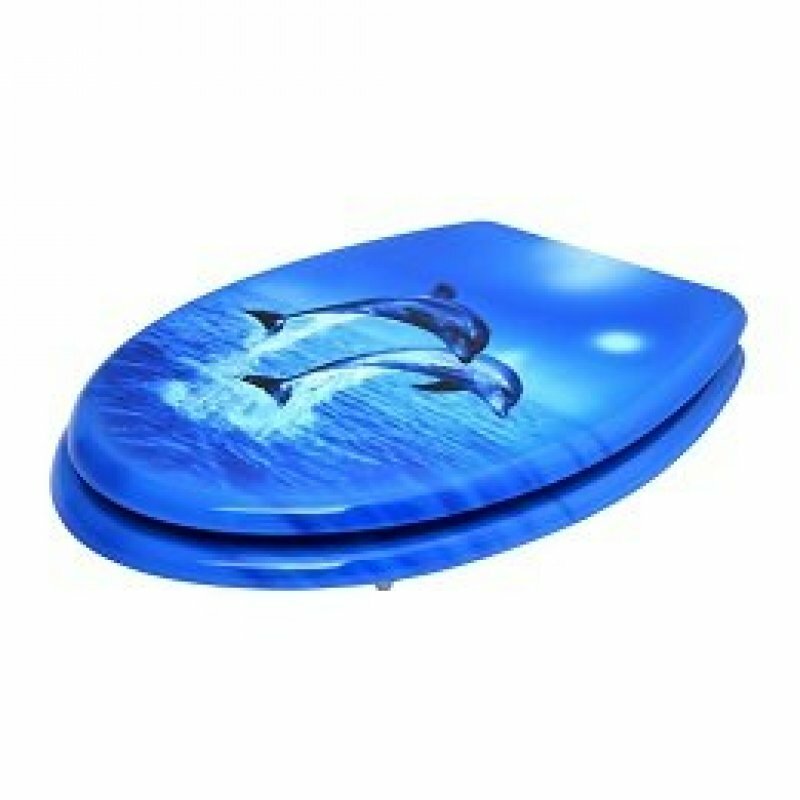 Crafted out of hardwood, the toilet seat is meticulously painted to make every detail crisp and realistic. The seat features rustproof hinges that help to stabilise the ring and prevent rocking to ensure your comfort. Very simple to mount, the toilet seat comes with everything needed for fixing and will easily fit most standard toilet bowls with its 450 millimetre by 375 millimetre size.